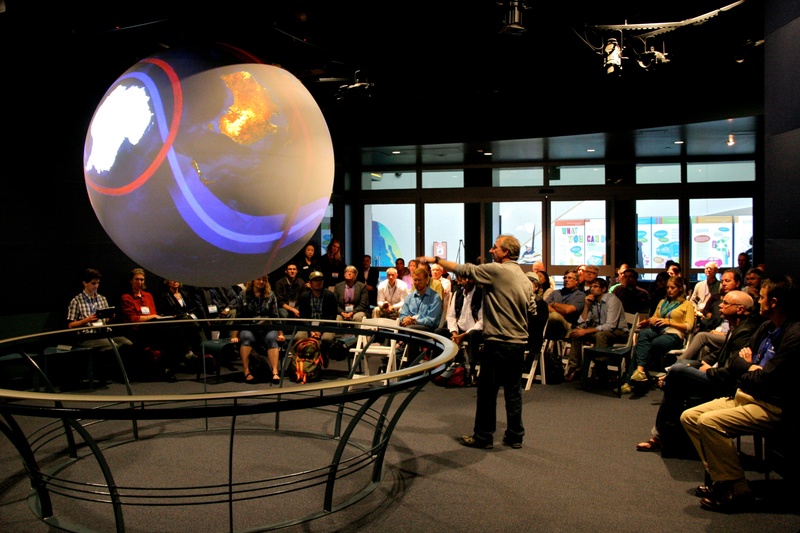 BOSTON – The Museum of Science, Boston and Arizona State University’s Consortium for Science, Policy & Outcomes are among the six institutions awarded an Environmental Literacy Grant from the National Oceanic and Atmospheric Administration (NOAA). The NOAA Grants Program funds projects that strengthen environmental literacy among the public and elementary and high school students in an effort to enable the informed decision-making necessary for community resilience to extreme weather events and environmental changes. The project, “Science Center Public Forums: Community Engagement for Environmental Literacy, Improved Resilience, and Decision-Making,” will use the more than $300,000 in NOAA funding to develop locally-based forums hosted by community science centers and create replicable models for learning and engagement. These community forums will establish partnerships between the public, members of the scientific community, local officials, and others, providing a framework for individuals and organizations around the country to implement. To illustrate an example of these local science policy forums, the Museum recently co-hosted an event, “World Wide Views on Climate and Energy,” held at the Embassy of France in Washington, DC. The Museum shared the results of the World Wide Views on Climate and Energy symposium, the largest ever public consultation on climate change and energy, with local researchers, policy makers and citizens interested in climate science. This report will be used to inform the COP21, known as the 2015 Paris Climate Conference, in December 2015. The Museum’s project with ASU’s Consortium for Science, Policy & Outcomes will begin with forums in Boston and Phoenix, and will later expand to include six other U.S. sites. NOAA will incorporate their scientific data, data visualizations, access tools, and other aspects into all projects. One of the world’s largest science centers and New England’s most attended cultural institution, the Museum introduces almost 1.4 million visitors a year to science, technology, engineering, and math (STEM) via dynamic programs and hundreds of interactive exhibits. Founded in 1830, the Museum was first to embrace all the sciences under one roof and is the nation’s first science museum with a comprehensive strategy and infrastructure to foster technological literacy in museums and schools nationwide through its National Center for Technological Literacy®. Other highlights include The Science Behind Pixar, (through Jan 10, 2016), the Hall of Human Life, the Thomson Theater of Electricity, Charles Hayden Planetarium, Mugar Omni Theater, Gordon Current Science & Technology Center, Butterfly Garden and 4-D Theater. The Museum has led a 10-year, $41 million National Science Foundation-funded Nanoscale Informal Science Education Network of science museum and reaches over 20,000 teens a year worldwide via the Intel Computer Clubhouse Network. Visit www.mos.org.